1977 was the year for live performances for Happy The Man.While not often the first name on stage, they were lucky enough to support bands such as Foreigner, Renaissance and Hot Tuna, bringing them in front of large crowds and helping their popularity.At the end of the year drummer Mick Beck left the band and was replaced by Ron Riddle.By the spring of 1978 material for a new album was prepared and they visited the Chateau Recorders in North Hollywood, California, again with Ken Scott on the producer chair.The new work ''Crafty hands'' was released later in the year. The material of Happy The Man could be split in two styles throughout the album.First come the structures around a slight mid-70's GENESIS influence and, while the music is largely instrumental (only one track contains vocals), they appear to share the same taste for elaborate and refined arrangements with electroacoustic changes and dreamy, symphonic keyboards on tracks containing plenty of variations.Very smooth, but always competetive and intricate stuff, led by some nice Moog synth moves.The other side of the band explores the more complex nature of Progressive Rock with the GENTLE GIANT and VAN DER GRAAF GENERATOR influences dominating the arrangements.However they did have a character of their own, because it was not very common at the time to place some powerful sax lines next to an emerging synth-based enviroment.Sounds strange for a combination, but these guys were talented enough to deliver extremely well-crafted music with symphonic and Fusion vibes, based on shifting tempos and changing climates, while the atmosphere of the album ranges from romantic soundscapes to dramatic and dark textures.Some good interplays and a fair instrumental richness would eventually carry the album on the top of 78' Prog releases. 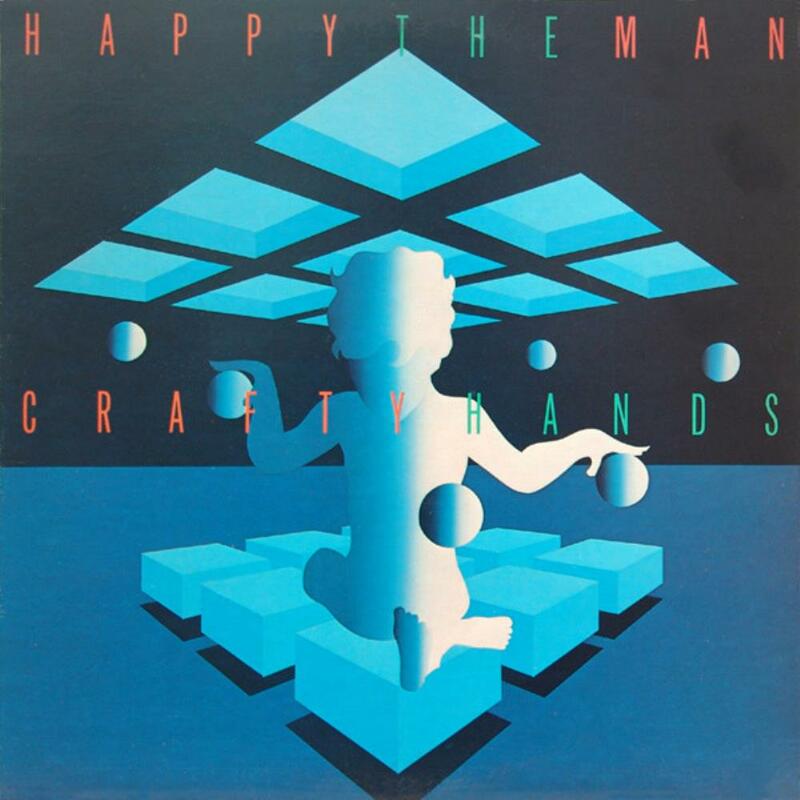 ''Crafty hands'' is exactly what its title refers to.A set of hands with tricky, progressive ideas around music, somewhat unappreciated by the period of their appearance, but coming up with an intricate Symphonic Fusion affair.Strongly recommended...3.5 stars.